We want to make fundraising for Law Rocks LA as easy and fun as possible! We're pleased to share this digital marketing toolkit. Below you will find a bunch of awesome tools to make promoting your band a piece of cake. Tell Omi anything else you'd like to see. Public event page is lawrocks.org/losangeles. Click to download fact-filled PDFs on Law Rocks and the firms and nonprofits involved with our 2019 LA event. I hope you are well. I am writing because my band, [BAND], is participating in the Eighth Annual Law Rocks Los Angeles on [Thursday/Friday, March 21st/22nd] at the Whisky a Go Go. We will battle it out against other law bands - all for charity. Our band is rocking in support of [NONPROFIT], an amazing organization. Law Rocks offers a unique opportunity for sponsors and we would love to have [POTENTIAL SPONSOR COMPANY] support our band and the event. Law Rocks LA features 14 bands representing 24 firms, as detailed on the attached fact sheet. This two night event plays to a room full of lawyers rocking out - and helping the community. You can see all the details at lawrocks.org/losangeles. Each sponsorship level includes valuable exposure to thousands of LA legal professionals, tickets, and more. Additionally, sponsorships support our band in the competition, which I would truly appreciate. Subject: Come see me rock the Whisky at Law Rocks LA! I hope you are great. 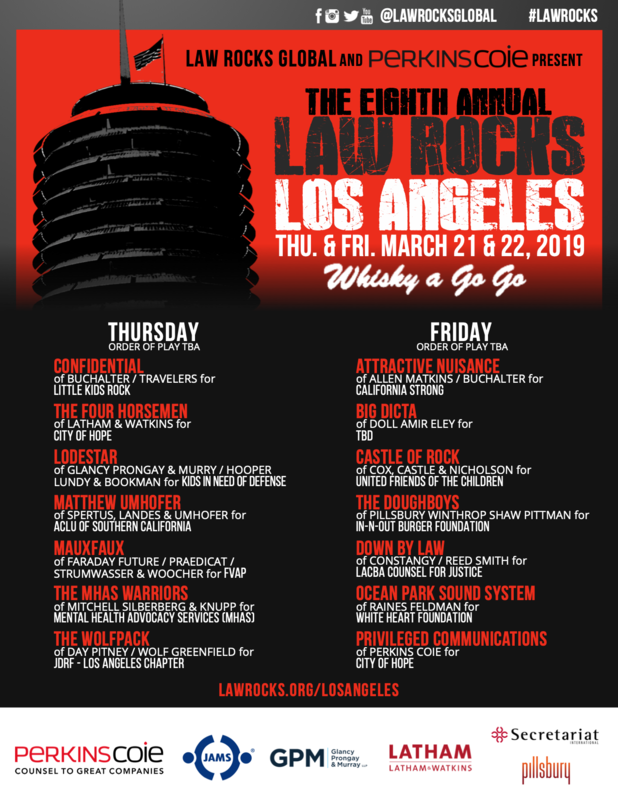 I'm thrilled to share that my band, [BAND] is playing the Eighth Annual Law Rocks Los Angeles at Whisky a Go Go on Thursday/Friday, March 21st/22nd. We are playing to benefit [NONPROFIT], an incredible organization that I'm proud to support. We are battling against other band of lawyers who rock and we're ready to win the night! I would love to see you at the concert. We have put together an awesome set and can't wait to rock! Both tickets sales and donations count towards our band's final score. You can learn more, get tickets, and donate at lawrocks.org/losangeles. Also, if you purchase tickets and/or donate before 7:00pm PST on Thursday, March 7th you'll help our band get a prime spot in the lineup. I hope you are wonderful. 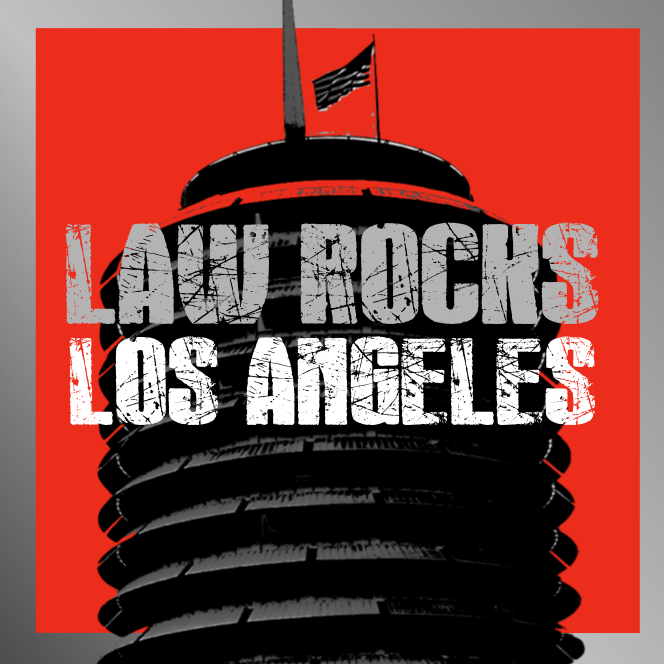 I'm excited to share that my band, [BAND] is participating in the Eighth Annual Law Rocks Los Angeles. We are playing to benefit [NONPROFIT], an incredible organization. On Thursday/Friday, March 21st/22nd we will rock the Whisky, competing against other bands of lawyers who rock. We're ready to win the night and raise serious funds for [NONPROFIT]. I realize you probably won't be able to make it to town to see the concert. However, I would really appreciate your donation to support our band. Please visit the event page at lawrocks.org/losangeles and donate what you can under "Donate to Band's Nonprofit Pick". We are proud to support [NONPROFIT] and their mission. 100% of your donation will be passed on to the nonprofit, and it also helps us take home the grand prize. Also, if you donate before 7pm PST on Thursday, March 7th you'll help our band get a prime spot in the lineup. Every donation makes all the difference. Thank you so much for your support. 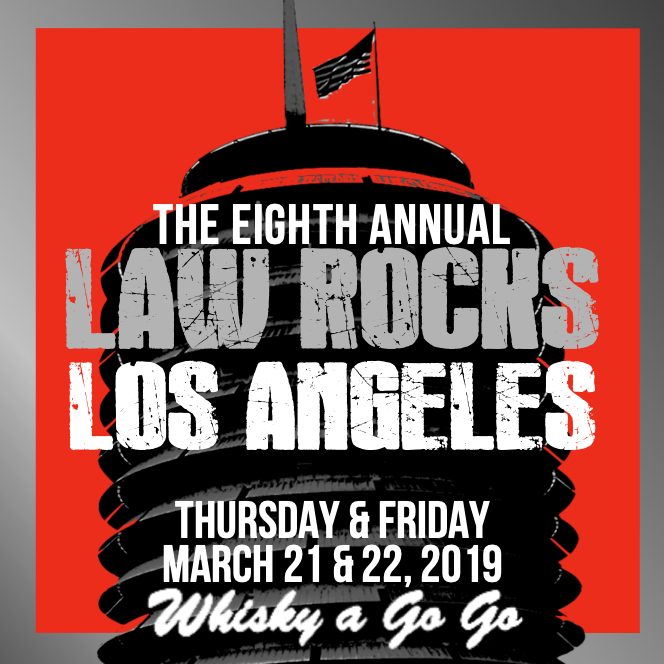 - I'm excited to share that my band, [BAND], is playing the world famous Whisky a Go Go on [Thursday/Friday March 21/22] as part of the Eighth Annual Law Rocks Los Angeles! We are playing for the benefit of [NONPROFIT] and would love to see you at the show! You can also donate to support the band and [NONPROFIT]. You can learn more, get tickets, and donate at lawrocks.org/losangeles! - WE WILL ROCK YOU! Lawyers by day, [BAND] are rockstars by night. Come out and see me rock the [INSTRUMENT] at the Whisky, all for charity at the 8th Annual Law Rocks LA. All the info at lawrocks.org/losangeles. Can lawyers really rock? Find out by coming out to support my band, [BAND] play the annual fundraising concert, Law Rocks Los Angeles on [Thursday/Friday March 21/22] (the answer is yes). We will compete against other bands of rock star lawyers, each playing to benefit their choice of local nonprofits. Our band is playing to benefit [NONPROFIT], which [MISSION]. Learn all about it at lawrocks.org/losangeles.